I love my new country home but living in a very rural community can be challenging when it comes to food. We do have a local general store which carries most of the basic things you might need, but some days when I want a specialty item not found locally I’d have to drive 200 miles round trip to Boise to find it. My specialty food item obsession lately has been Lesley Stowe’s raincoast crisps. 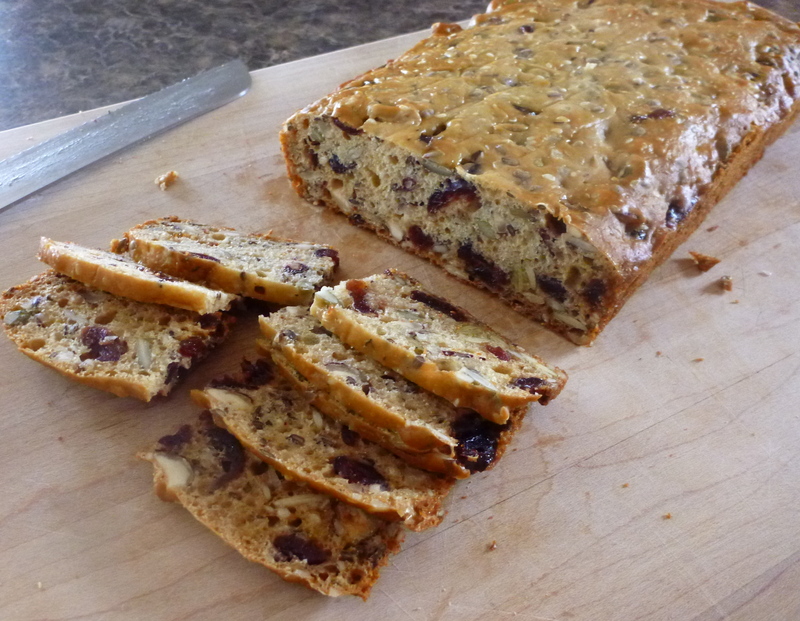 A hearty, fruity, nutty cracker, my favorite is their cranberry hazelnut one. I do realize that these days you can have almost anything delivered right to your door but the Lesley Stowe raincoast crisps were already a splurge at almost $9 for a six ounce box. And with shipping, I’m not about to go that route anytime soon. Since moving to the sticks, I’ve done more cooking and baking than ever before, so why not attempt to make my own Cranberry Hazelnut crackers. 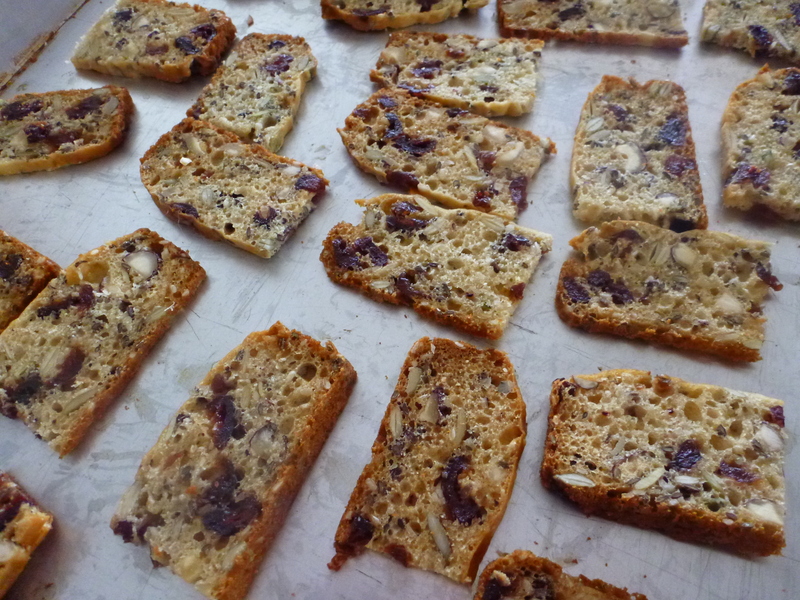 While Internet sleuthing, I found a recipe for a version of Lesley Stowe’s raisin, pecan, rosemary cracker and tweaked it into what turned out to be a pretty good duplication of the store bought cranberry one, which I’ll never have to buy again and neither will you. In a large bowl, stir together the flour, baking soda, and salt. Add the buttermilk, brown sugar, and honey and stir a few strokes. 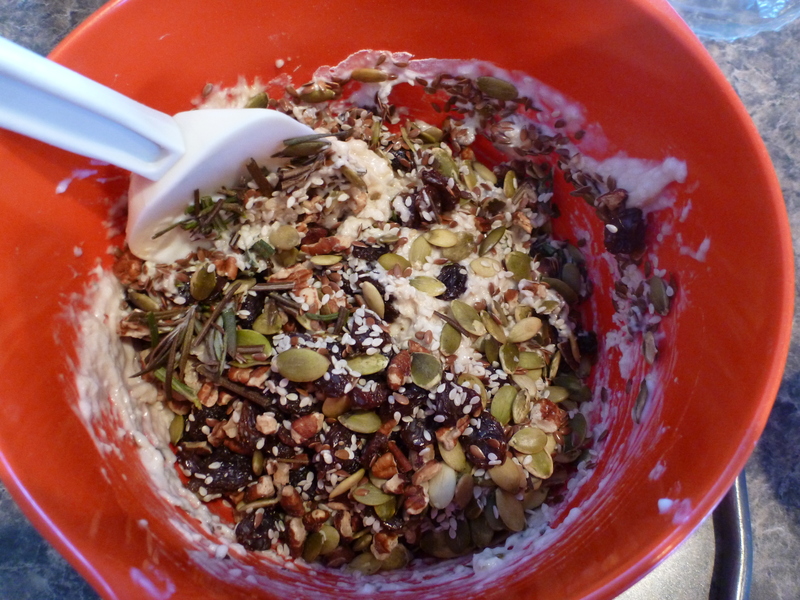 Add the cranberries, hazelnuts , pumpkin seeds, sesame seeds, and flax seed and stir just until blended. 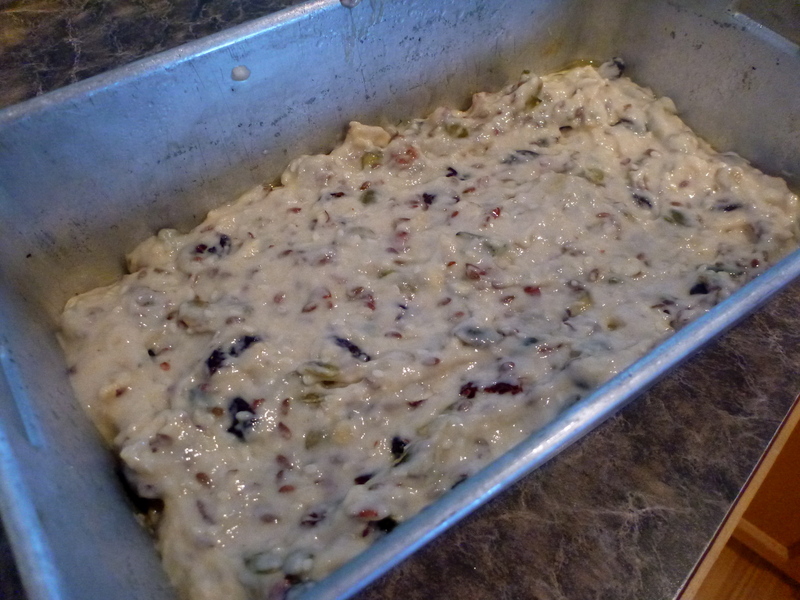 Pour the batter into two 8”x4” loaf pans that have been sprayed with nonstick spray. Bake for about 35 minutes, until golden and springy to the touch. Remove from the pans and cool. The cooler the bread, the easier it is to slice into thin pieces. You can leave it until the next day or put it in the freezer to cool it off. Slice the loaves as thinly as you can and place the slices in a single layer on an ungreased cookie sheet. Reduce the oven heat to 300° F and bake them for about 10 minutes, then turn them over and bake for another 10 minutes, until crisp and golden. 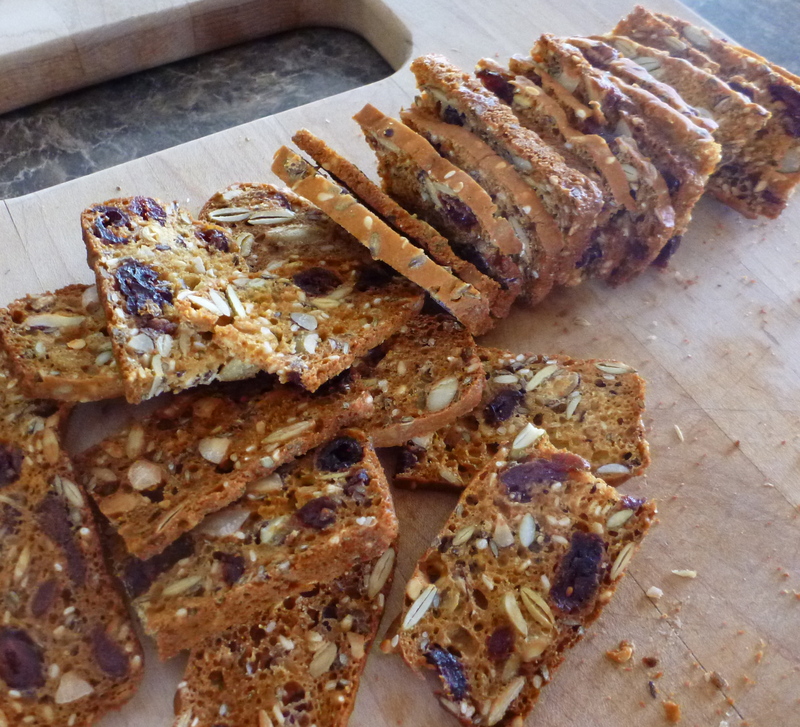 Recipe makes two loaves or about 8 dozen crackers. You may freeze one loaf and thaw to make more crackers at a later date. Store crackers in air tight containers.